4 acres with great frontage and visibility on Stan Schlueter Lp. Can be sold separately in 1 acres tracts for $217,800 each. 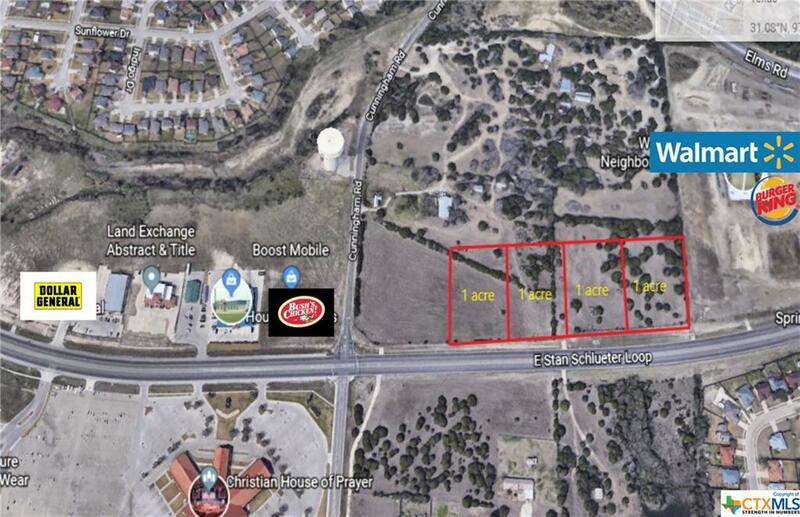 Two acre corner lot must sell prior to these sites. Ideal parcels for retail, gas/convenience store or professional offices. Utilities available. Additional adjoining acreage also available. Directions: Exit Stan Schlueter Lp Off Of Hwy 190 (I-14). South On Stan Schlueter Lp.